Chattanooga has had many notable authors, but few match the number of literary accomplishments of the late North Callahan. 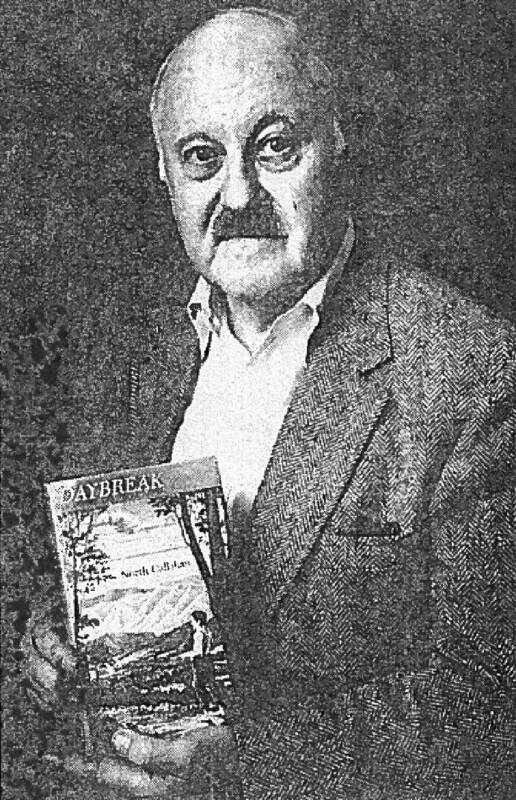 The dust cover of his autobiographical novel "Day Break" describes a young boy "starting out in life on the edge of the Smoky Mountains, and he looks over and sees the sun coming up. It's symbolic of looking ahead, hopefulness and challenge." Born near Sweetwater, Tennessee, on Aug. 7, 1908, Callahan spent his early years in his father's grocery store, where he heard tuneful mountain music played by genial loafers and "banjos and gittars," found that "eating terbaccer" had a certain indigestibility, and listened to stories of the Revolutionary and Civil wars. He attended the Tennessee Military Institute and graduated in 1930 with honors from the University of Chattanooga, where he founded its glee club and Great Books Club. He earned a master's degree from Columbia University and a Ph.D. from New York University, where he finished first in his class, taught for 20 years and became professor emeritus of American History. He also served as a correspondent in New York City for the Dallas News from 1939 to 1940. Callahan entered the U.S. Army as a reserve lieutenant when World War II broke out and rose to the rank of lieutenant colonel, where at Governor's Island, N.Y., he was in charge of national recruiting publicity for the Army and had contact with Helen Keller, Eleanor Roosevelt and the actor Karl Malden. The Tennessean was supervisor of the nationwide radio program, "The Voice of the Army," in which Hugh James was the announcer and Lowell Thomas the commentator. The show featured dramatized stories from Army veterans and music. With Norman Coultier, Callahan co-authored "The Voice of the Army," which became the official song of the U.S. Recruiting Service. He also was the editor of "Army Life" magazine, which was distributed to schools, libraries and government officials throughout the war. He mused about spending World War II in the "paragraph troops" on Governors Island in the New York harbor. After the war, Callahan travelled to Hollywood where the noted movie director, Clarence Brown, who had attended the University of Tennessee at Knoxville, facilitated introductions and an interview with the casting director at MGM. He engaged in a publicity gag shot with Mickey Rooney and Anne Rutherford and in an interview with Maureen O'Sullivan, known for playing Jane in the Tarzan movies. He soon departed Tinsel Town for the East Coast. On returning to New York and New York University, he became the founder of the American Revolution Round Table and head of the Civil War Round Table. He lectured at several British Universities after retiring from the university in 1973. Questioned about the challenge of a young Tennessean adapting to the Big Apple, he remarked, "There were a lot of Southerners up there, and it seemed to me like they were running very many important things and still are. If you can make it in that madhouse, you can make it anywhere." Callahan and his wife, Mary, maintained a part-time residence in the city in their later years. In 1964, he was granted an honorary degree by the University of Chattanooga. He was selected in 1983 for the Distinguished Alumnus Award becoming the only alumnus to receive both honors. During his career, North Callahan authored 17 books, including "Henry Knox: General Washington's General," "Daniel Morgan, Ranger of the Revolution," and "Tories of the Revolution." Callahan also wrote about the life of poet Carl Sandburg and compiled a history of the Tennessee Valley Authority, "TVA: Bridge Over Troubled Water." In 2003 at age 95, he published his autobiography, "North Callahan: An Exciting Life." His longtime Chattanooga friend, Joe Decosimo, helped obtain space in UTC's Lupton Library where original manuscripts of his books, unpublished notes, photos, typewriter and other memorabilia are preserved. In 1998 Callahan edited a history of the Mountain City Club written by John Shearer, which covered the transformation over a century of a venerable all-male club to one open to all sexes and races. After a long, productive and colorful 96 years, Dr. North Callahan died on Dec. 28, 2004, and was buried in Chattanooga National Cemetery with full military honors. His wife, Mary Pemberton Callahan, predeceased him. Two children, Mary Alice Callahan and North Callahan Jr., both residents of Westchester County, N.Y., survived him. Jerry Summers is an attorney with Summers, Rufolo and Rodgers. Frank "Mickey" Robbins is an investment adviser with Patten and Patten. For more visit Chattahistoricalassoc.org.